In P2P and P2B lending platforms a buyback guarantee is a guarantee provided by a loan originator regarding a specific loan. If repayment of that particular loan is delayed by more than a specified number of days (typically from 30 to 180), then the broker (loan originator) is obligated to buy back the loan by fully or partly compensating investors for their remaining principal invested as well as outstanding interest and penalties. Platforms differ on the percentage of principal returned and the amount of interest paid. In a way, it resembles an insurance system, albeit for loans on p2p platforms. Thus, if the borrower fails to pay off the loan in time, it will be bought by the broker (loan originator), so the investor will not lose the money and in most cases, the accrued interest will be returned too. How investors get liquidity in online lending? Understanding how investors get liquidity is important as on some platforms loan maturity for loans may be a few years and if investors on those platforms invest in loans, they effectively become longer term lenders themselves. As in most cases they cannot get out of their positions and access their capital in a predefined time of the loan by agreement, any investor would want to know how liquid the assets he invests in are and if his capital is protected in case the borrower defaults. Sure, certain platforms offer a secondary market as a viable option for investors to sell their stake in loans. At the time of writing only 29% of all investors on one of largest European p2p platforms, Mintos, have made at least one investment via the secondary market. In addition, there are around 2 times as many assets available on the secondary market compared to the primary market over there. It seems that other investors on the same platform are not so keen to buy late and long loans from their fellow investors. Hence such option adds value and liquidity but is not a silver bullet and we have to go back to brokers (loan originators) for liquidity solutions. A broker (loan originator) should have enough equity to be able to take a loss on a late or defaulting loan. Institutional investors who provide a larger amount of funding to lending companies usually request that the leverage on equity is not more than 4-10 times. Meaning that for each 1 million EUR of a loan portfolio, a broker (loan originator) would have between 100k-250k EUR in equity. What does it mean? It means that if 5% of all loans default, a lending company can still cover all losses from their equity and continue their operations. So, a lending company with a healthy equity vs portfolio ratio is a choice trusted by institutional investors managing large funds and most likely is a better liquidity provider for a final investor in a loan if compared to a secondary market on the same lending platform. Do high-interest rates compensate risks and absence of buyback guarantee? Some platforms, such as Bondora bypass loan originators and keep all interest to themselves without offering any buyback guarantee. They offer plenty of high interest (30-200%) high-risk loans. A high percentage of them will default. You have to be a very picky investor in order to figure out, which loans are worthwhile investing and you will find out that the expected returns hardly ever become real ones. Statistics that Bondora have shared with their users shows that around 25% of investors on their platform have suffered losses, and have not made profit. Loan originators on Mintos and Twino platforms offer buyback guarantee after the loans are not repaid 60 and 30 days after maturity term. On our own Debitum Network, the brokers would buy back a loan if the repayment of the loan is late more than 90 days. The best part is that the brokers pay not only the principal but also the interest, which makes investing in the offered loans seemingly risk-free. Interest rates on these platforms are relatively lower than on Bondora or on platforms that offer payday loans to invest in. From the table above we may draw a number of conclusions. Firstly, high-interest rates without a buyback guarantee will not deliver expected or promised returns as the number of defaults on these type of platforms (e.g. Bondora) is very high and most investors actually lose money as selecting loans that will actually be paid off by the borrower is inexplicably difficult. If businesses or people are able to borrow at smaller interest rates, there is a higher probability that they will repay the loans, as opposed to borrowing at high interest rates that exceed 30% annually. Smaller interest rates will likely have smaller expected returns, but as the rate of defaults is much smaller, the real net return will be higher than with loans that have very high-interest rates and no buyback guarantee. Shorter term loans effectively decrease your risk. What is the logic behind it? Very simple! If the company has been paying interest for the whole year, it will most likely not default if there are a couple of months left. This is one of the reasons why Debitum Network focuses on short-term loans for SMEs. We see that offering investors to invest in 1-3 months duration loans carries less risk and psychological pressure for them than keeping funds locked for a year or more with limited possibilities to exit the position. Do buybacks eliminate risk completely or how can investors protect themselves? A loan originator may go bankrupt and in that case, your money invested in the loans of the originator will most likely be lost. Eurocent loan originator went bankrupt and the loans it put on Mintos platform defaulted, thus causing investors to lose money on both principal and interest (Mintos doing their best to get the investors’ money back). Thus again, a buyback guarantee is as good as the company behind it. Investors could choose only loans that have a buyback guarantee from a broker. It would be wise to choose only those that offer the option of buyback even at the expense of getting smaller interest rates. You want as much clarity from platforms and brokers operating on them regarding buybacks too. 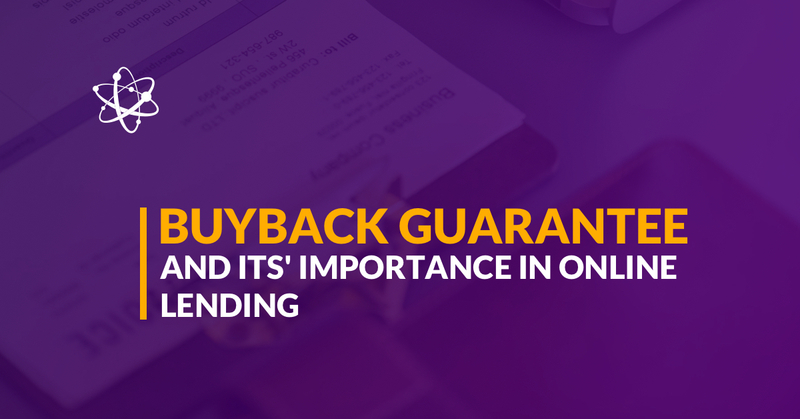 In March 2017 Twino introduced ‘payment guarantees’ rather than buyback guarantees. This change means that investors are now left owning non-performing loans for up to 2 years, and relying on Twino to make the payments due. The loans cannot be sold on the platform. Thus liquidity for investors dries up and investors have to wait for years until the money is eventually returned in case of default. Spreading your investments in different loans and possibly different loan originators or even platforms is one of the options as diversification significantly reduces risk due to the fact that an investor ‘does not keep all eggs in one basket’. Asset-backed p2p or p2b loans are also a form of insurance as in case of a borrower’s default an asset can be sold and investors’ money paid back. Smaller interest rates for businesses is an advantage too. If borrowers are charged smaller interest rates they have a higher chance of repaying it rather than defaulting as they would if they were charged some rates from 30-50% annually or more. In the same fashion, collecting payments on an asset-backed business loan is simpler and usually faster than collect them from a bankrupt private person who defaulted on a payday loan issued by some payday loans’ platform. Thus, Debitum Network can proudly go shoulder to shoulder with long seasoned p2p platforms such as: Funding Circle, Lending Club, Zopa, Assetz Capital, Fellow Finance, Grupper, October, Ratesetter, FundingSecure, Lendy, MoneyThing and etc. Short-term loans with maturity mostly from 1 to 3 months, interest rates from 7 to 10.85% and a buyback guarantee is an offer from Debitum Network to investors on our platform. This enables investors to gain a number of things: earn attractive interest, have a fast turnover of their capital (1-3 months) and by means of buyback guarantee to protect their investments as much as possible. Got interested? Try DEBITUM NETWORK! Disclaimer: Investments in financial products are subject to market risk and any investment should only be done with risk capital. The above references an opinion and is for information purposes only. It is not intended to be investment advice. Seek a duly licensed professional for investment advice. We will keep you updated with our business and platform news. Content cannot appear on any illegal or illicit activity sites. Content cannot appear on any sites containing adult content. Content cannot be changed, modified, or taken out of context. Content can be amended or expanded, however, it has to be done in a way to show the opinion of the publisher and not a statement form Debitum Network. 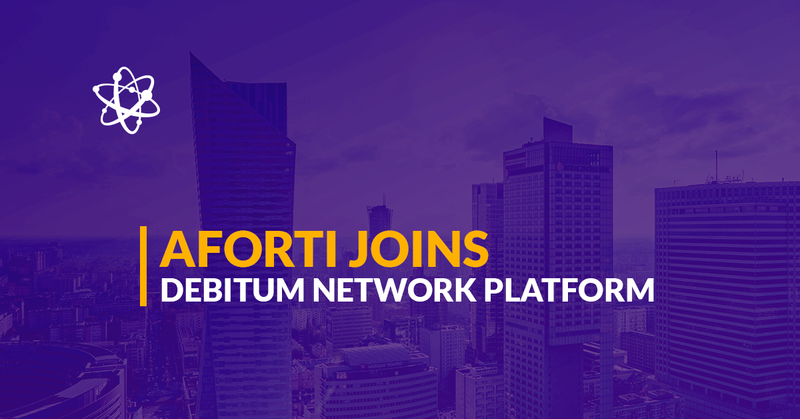 Its mandatory to have a credits to Debitum Network and a link to the original publication.